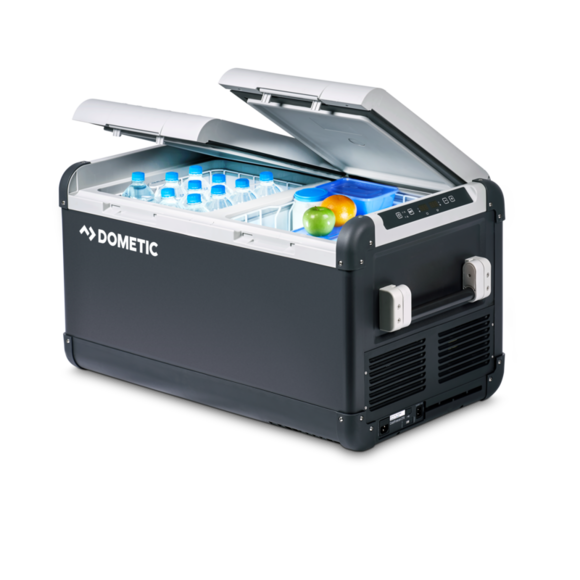 The Dometic CFX represents the next generation of portable coolers. Firstly, there’s the CFX Special Electronics which include an intelligent automatic turbo cooler and memory function. 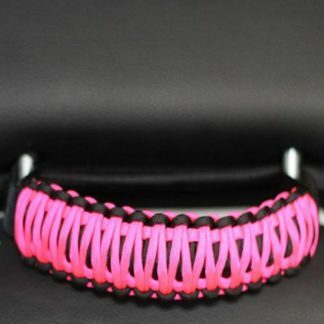 Then not only is it suitable for deep freezing down to –7 °F (–22 °C) but it can also operate on solar power. 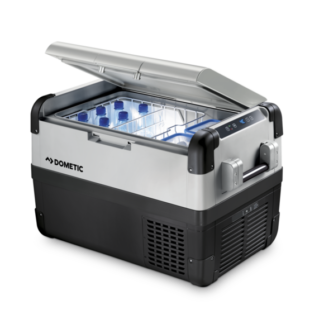 This premium compressor cooler provides superbly quiet and highly-efficient cooling performance, regardless of the ambient temperature. 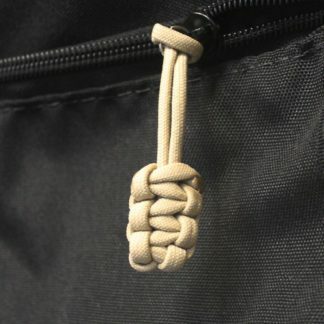 There’s even a USB charging port for charging small electrical devices. 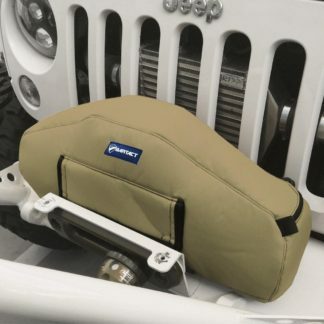 Take this amazing cooler and freezer wherever you go thanks to its conveniently detachable carry handles. 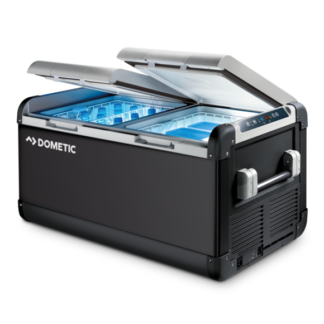 Fitted with heavy-duty details like reinforced corners, stainless steel hinges and a robust lid lining, Dometic’s award-winning CFX series coolers can withstand the most demanding of loads. A special feature of this model is the convenient option of controlling and monitoring cooling temperature by WiFi app! Advanced compressor electronics ensure ultra-low power consumption using AC, DC, and solar power – enjoy the freedom to go off-grid! 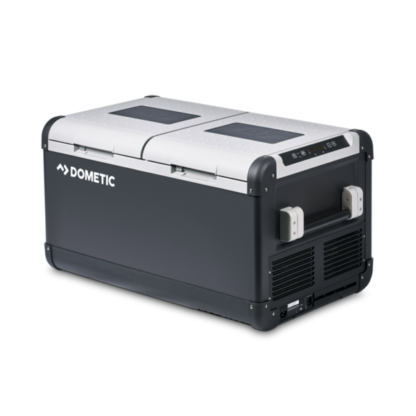 Compressor cooling technology, used in Dometic’s CFX series, offers unrivalled cooling power. 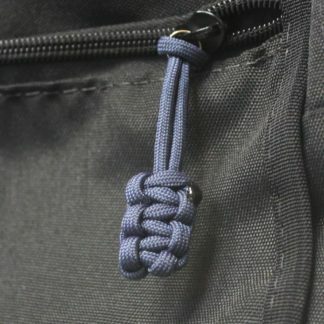 But how does it work? Well, it relies on a refrigerant that changes from a liquid to gaseous state in the evaporator. 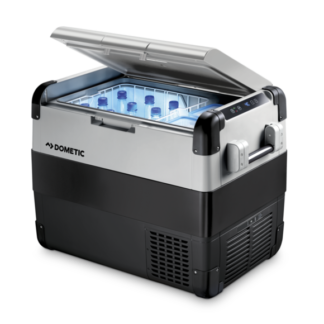 The evaporation process extracts heat from the interior of the cooling unit, causing the temperature to drop. The compressor draws in the refrigerant, compresses it and passes it on to the condenser. From here, the absorbed heat is released into the atmosphere. The refrigerant liquefies and flows back to the evaporator, where the cycle begins again. 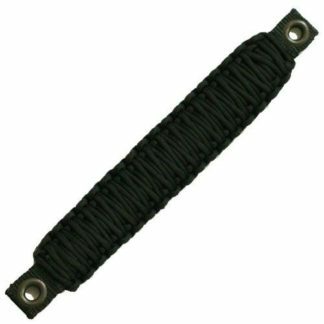 The result of this is an excellent cooling performance, capable of deep-freezing, even at extreme ambient temperatures.